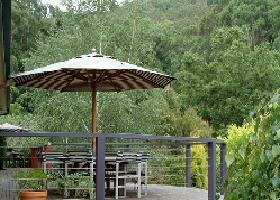 Mast Gully Gardens has the Dandenong Ranges National Park as a backdrop. 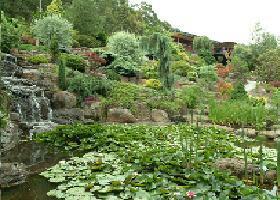 A peaceful garden with lily covered pond and waterfall. 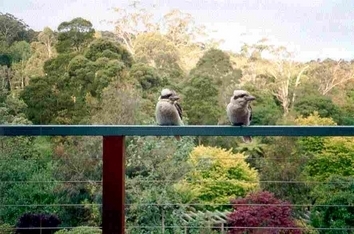 Numerous paths and bridges follow a meandering stream edged with hundreds of tree ferns and hydrangeas that lead you into the forest for exploring or bush walking. 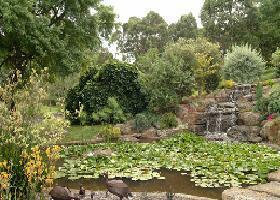 50 minutes from Melbourne, Mast Gully Gardens Bed and Breakfast is set in five acres of Botanical Gardens with a lily covered pond and waterfall.